Software: WXtoImg Version installed: 2.11.2 beta Professional Edition. Receiver: R2FU. Diversity enabled to utilise two antennas. 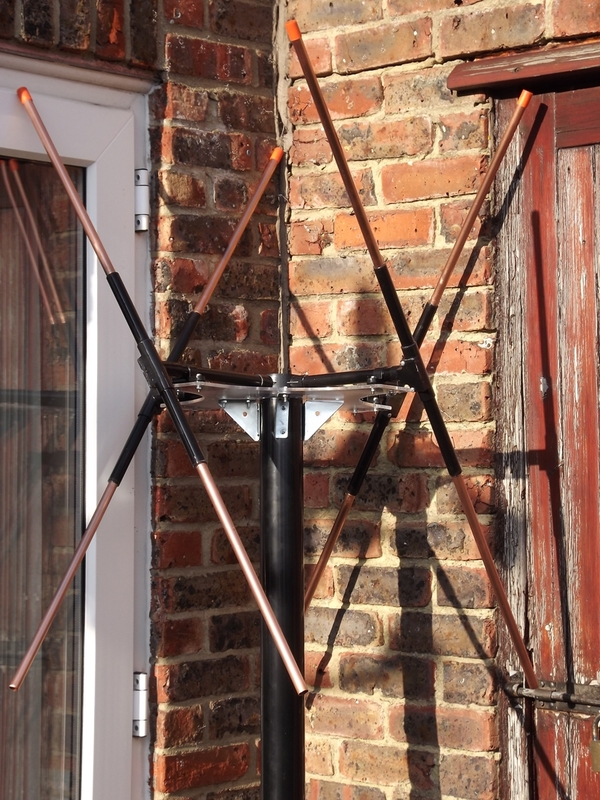 Antenna 1 is a Homemade PHQFH design mounted outside the house. 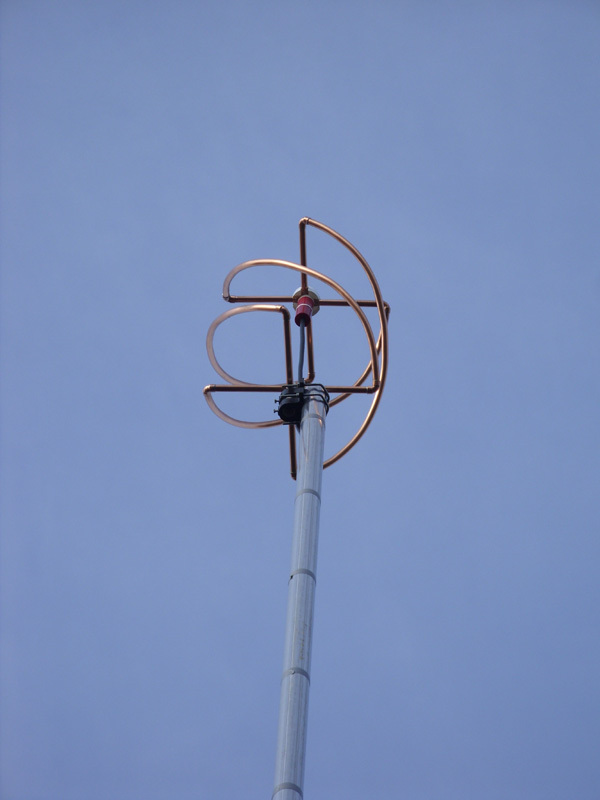 Antenna 2 is a Homemade DCA completed February 2012 and is mounted in the loft space. Both antennas have passive 153 MHz notch filters from PAR Electronics. The External PHQFH has the notch filter custom tuned for use with the 137 - 138 MHz band. This has been supplied custom built and tuned with a pass band suitable for APT. There is an adjustable gain control with this preamplifier however, a 10dB attenuator was required for my system. A second preamplifier was ordered 27th April 2013, however, this has not been received. The second preamplifier was received back in Hungary sent by the Royal Mail postal service !!! I would like to thank Gyula Nagy for committing to a second attempt - postage start date: 20th September 2013. The second preamplifier was received today in perfect physical condition. Measurement and testing next before incorporation into the weather station system. Antenna feed lines are Westflex 103, 50Ω coax terminated with N type connectors. Audio cable is 6mm double shielded and the cable core is 0.5mm diameter OFC Copper plated in 80µin Silver. Gold-plated phono plugs are used for cable terminations. PC time is synchronised every two minutes by GPS and independent software. The mouse, keyboard and monitor are not connected to the PC during normal 24/7 operation. Please visit the WEATHER SATELLITE IMAGE PAGE to see the latest images. There is a group available on Facebook named APT Group to see other interesting posts regarding APT Imagery.